Plot, Scenes and story line is taken from the Japanese movie Shinkansen Daibakuha. It was dubbed in English with the name of The Bullet Train. 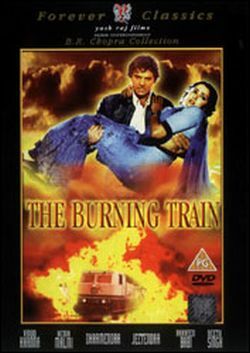 This is a movie about the creation of the fastest train that on its first run gets sabotaged by the bad guy. This leads to it catching fire and getting rendered unstoppable. Now the challenge is to safely evacuate the passengers of this burning speed demon.